The BCCI selection committee announced India's 15-member squad for the ICC World Cup 2019 yesterday. The race to the trophy will begin from 30th of May, and all the teams will start preparing for it by early next month. There had been plenty of buzz in the news prior to the announcement of India's squad, as with the potential non-selection of certain stars inspiring speculation and controversy. As it turns out, the squad is largely on expected lines. Leading the side, to nobody's surprise, is skipper Virat Kohli. He has been in exceptional form lately and would definitely like a better result than what the team had to settle for in the last edition of the World Cup. Supporting him in this quest is the Indian opener and the team's vice-captain Rohit Sharma. The team has an excellent combination of top-order batsmen, quality pacers and a bag full of in-form all-rounders. Moreover, the problem of the number 4 position seems to have been resolved with the inclusion of Vijay Shankar in the squad. Though the swing-friendly English conditions have never been friendly to Indian batsmen in Tests, some of the players seem to have cracked the code in ODIs. Shikhar Dhawan is one such name. Dhawan is no stranger to big tournaments such as this. In 17 matches that he has played in England, he has three centuries and four 50-plus knocks to his name. It goes without saying that India's ICC tournament specialist will be a key figure this year in England. 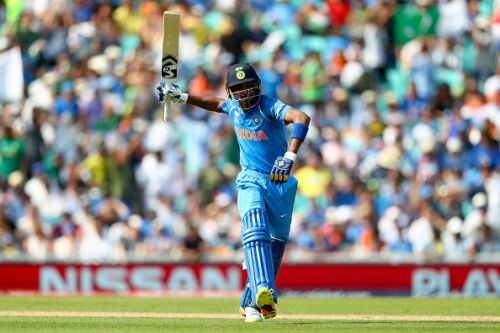 Hardik Pandya has been a player to keep an eye on ever since he bowled that nerve-racking last over against Bangladesh in the World T20 tournament. He has continued his excellent form in every series he has played since then, and England was no exception. Pandya has an excellent record in the country, where he has scored at a strike rate of 151.54 and has taken five wickets in eight matches. Having Pandya in the squad not only increases the available bowling options but also increases depth in the batting line-up. With his big-hitting abilities, Pandya can single-handedly change the complexion of any match within a matter of minutes, which makes him the x-factor player in the squad.